Additional Info: There are many places to visit in Japan, islands and prefectures, National parks, Buddhist temples and Shinto shrines and high tech shopping areas of Akihabara. Hokkaido is Japan's second largest island. For those wanting to explore Japan on bike, it is considered one of Japan's best secrets! Best time to plan a trip here is between June and August. Doh-toh, to the east of Hokkaido, has some beautiful lakes and scenic roads - the standard route is cycling around Kusharo-lake, Mashu-lake and Akan lake. Bihoro Pass and Tsubetu Pass have great views of Kusharo-lake. Shiretoko Pass is one of the most famous passes in Japan for its view and down hill slope to the sea. Don't miss Kamuiwakka-fall ,a waterfall leading to a hot spring where many travelers enjoy a natural open-air spa. Kyushu is the third-largest island of Japan and the most southerly and westerly of its four main islands. Kyushu is an excellent island for cycling. You feel a more open and relaxed atmosphere in this area. Kyushu has the oldest written history in Japan. 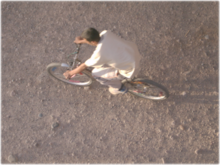 The southern part of the island is the best area for cycling as the northern area tends to be busy. Cycling around Mount Aso, the largest active volcano in Japan, is beautiful. It stands in Kumamoto Prefecture. Pedaling through ever-changing landscapes of rice paddies, narrow wooded valleys, rugged seashore, to the active volcano with bubbling sulphur pools, along lake sides and remote agricultural villages with the seasonal colors is an experience not to be missed. Shikoku is the smallest and least populous of the four main islands of Japan, located south of Honshu and east of Kyushu island. Cycle through the central mountains, rivers and gorges of the Iya valley and alongside cliff top roads with views down upon Japan's southern coast. Chubu District: The central part of Japan's main island, Honshu, which consists of eight ken (prefectures), is known as the Chubu District. The country's highest mountains are located in this area. Mountainous and volcanic, Honshu has frequent earthquakes (the Great Kanto earthquake heavily damaged Tokyo in September 1923); the highest peak is the active volcano Mount Fuji at 12,400ft, which makes it the world's 7th highest island. Some hikes in this region are described below. » Kyushu, known for its numerous active volcanoes, hike and explore the Kuju, Aso, and Kirishima ranges. A natural byproduct of the volcanoes are 'onsen', or hot springs - enjoy many relaxing dips in their soothing waters. At Kuju the Miyama Kirishima tsutsuji, a variety of Pink Azalea, covers the mountainsides forming a beautiful backdrop. Kagoshima is the capital city of the Kagoshima Prefecture at the southwest tip of the Kyushu island of Japan. 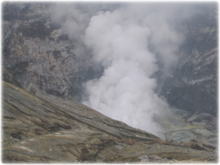 It has been nicknamed the 'Naples of Eastern world', for its bay location (Aira Caldera), hot climate and impressive stratovolcano, Sakurajima. » Visit the Noto Peninsula, a peninsula that projects north into the Sea of Japan from the coast of Ishikawa prefecture in central Honshu, the main island of Japan. Here you can play on beaches, walk in Yanagida Botanical Gardens, and listen to the Dragonfly Stream within forested park land. In another garden you can listen to the resonance of a Buddhist bell. You can stop by the Rokugo farmhouse to have a revitalizing cup of tea, or if you desire, a more lengthy but beautiful tea ceremony. 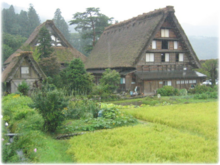 Also, visit the Historic Villages of Shirakawa-go and Gokayama, one of Japan's UNESCO World Heritage Sites. The Gokayama ("Five Mountains") area is divided between the villages of Kamitaira-mura and Taira-mura in the greater Nanto city area of Toyama prefecture. There are many hiking opportunities to be found around this area - hike the mountain, or ride independently in Shirakawa-go and Hakusan. Climbing Mount Fuji, 3,776m (12,400ft) is an experience not to be missed. The official climbing season is July and August. In this time, the mountain is usually free of snow, the weather is relatively mild, access by public transportation is easy and the mountain huts are open. Buses to the fifth station start running on July 1. From October to around mid June, climbing to the summit is highly perilous due to extreme wind and weather conditions, snow, ice and a high risk of avalanches. People without a lot of hiking experience are strongly advised to tackle the mountain during the official climbing season. Note - Climbing Mount Fuji is very popular with locals and tourists. The peak of this time is reached during the Obon Week in mid August, when climbers literally have to stand in queues at some passages. An estimated 200,000 people climb Mount Fuji every year, 30% of whom are foreigners. There are four major routes from the fifth station to the summit with an additional four routes from the foot of the mountain. The major routes from the fifth station are (clockwise) the Kawaguchiko, Subashiri, Gotemba, and Fujinomiya routes. The routes from the foot of the mountain are the Shojiko, Yoshida, Suyama, and Murayama routes. The stations on different routes are at different sea levels. The highest fifth station is located at Fujinomiya, followed by Kawaguchi, Subashiri, and Gotemba. Even though it is only the second highest fifth station, the Kawaguchiko route is the most popular route because of its large parking area. During the summer season, most Mount Fuji climbing tour buses arrive there. The next popular is the Fujinomiya route which has the highest fifth station, followed by Subashiri and Gotemba. Japan comprises over three thousand islands, the largest of which are Honshu, Hokkaido, Kyushu and Shikoku, together accounting for 97% of land area. Most of the islands are mountainous, many volcanic; for example, Japan's highest peak, Mount Fuji, is a volcano. 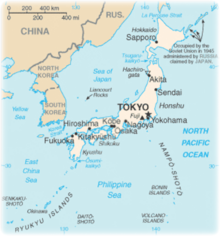 Honshu (literally "Main State") is the largest island of Japan, called the Mainland. 25% of the total population reside in the Greater Tokyo Area, which includes Tokyo and Yokohama, Kawasaki, Saitama and Chiba cities. Other cities include Kyoto, Osaka, Nagoya, Kobe, Hiroshima and Sendai. Kyoto and Tokyo are the imperial cities on Honshu. Honshu is also home to Mount Fuji, often recognized as the symbol of Japan. » Tokyo is a city that blends the old and the new in a seamless manner. 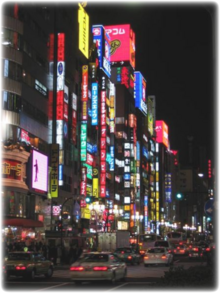 Tokyo is considered one of the world's major global cities and a megacity. The metropolis of Tokyo consists of 23 city wards, 26 cities, 5 towns and 8 villages, including the Izu and Ogasawara Islands, several small Pacific Islands in the south of Japan's main island Honshu. The country's religious and feudal past are represented by temples and palaces that might seem as if they belong in a different era, but are considered an integral part of their culture by most Japanese. The Kokyo is the Imperial Palace of Japan and the residence of the Emperor of Japan. It is located in Chiyoda-ku, Tokyo and is close to Tokyo Station. It is roughly the size of Central Park. Tours are available of the palace as well as the East Gardens being open to the public. The inner palace is only open to the public for tow days every year - the Emperor's birthday and at New Year. » Senso-ji is an ancient Buddhist temple located in Asakusa, Taito, Tokyo. 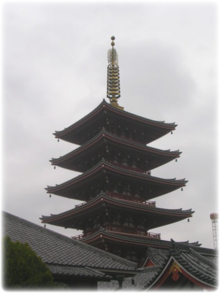 It is Tokyo's oldest temple, and one of its most significant. Formerly associated with the Tendai sect, it became independent after World War II. Adjacent to the temple is a Shinto shrine, the Asakusa Jinja. The area is closely associated with the history of the Tokugawa Shoguns. The surrounding National Park is stunning. » The UNESCO World Heritage site of Toshogu shrine at Nikko - Nikko is a small city at the entrance to Nikko National Park, about 85 miles north of Tokyo. It is most famous for the Toshogu, Japan's most lavishly decorated shrine complex and mausoleum of Tokugawa Ieyasu, the founder of the Tokugawa shogunate. Nikko is located along Japan's Romantic Road. The lavishly decorated shrine complex consists of more than a dozen Shinto and Buddhist buildings set in a beautiful forest. Initially a relatively simple mausoleum, Toshogu was enlarged into the spectacular complex seen today by Ieyasu's grandson Iemitsu during the first half of the 17th century. » Japan's version of Germany's "Romantic Road" leads over about 220 miles from Ueda City in Nagano Prefecture through the mountains of Gunma Prefecture to Utsunomiya City in Tochigi Prefecture. Various interesting towns, hot spring resorts and lots of natural scenery can be enjoyed along the Romantic Road, including the mountain resort of Karuizawa, active volcanoes, the hot spring mecca of Kusatsu and the world heritage sites of Nikko. The Romantic Road is not often traveled by the standard tourist as there is a lack of easy public transportation here. Renting a car is the best way to enjoy the route, spending between 3 and 5 days enjoying the scenic beauty it offers. » There are many temples and historic sites in Kyoto. 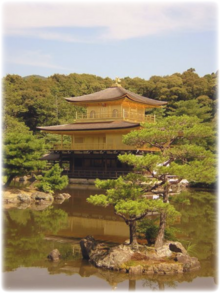 You can find the Kinkaku-ji (Golden Pavilion Temple). Originally built in 1397 to serve as a retirement villa for Shogun Ashikaga Yoshimitsu, as part of his estate, this beautiful pavilion shines in all weather. This is a tourist mecca so to avoid crowds, possibly visit in inclement weather when you'll have a better opportunity to appreciate its wonder. Also in Kyoto, you can find the home to the most photographed zen gardens, Ryoan-ji (The Temple of the Peaceful Dragon), a Zen temple located in the northwest. The temple is one of the Historic Monuments of Ancient Kyoto, a UNESCO World Heritage Site. » Modern Hiroshima is known as a "peace" center. Destroyed at the end of World War II by an atomic bomb, Hiroshima is known for its Peace Park and Peace Memorial Museum. Be sure to visit nearby Miyajima Island for its shrine and famous torii gate. 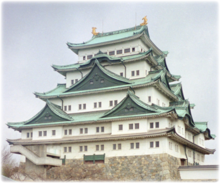 » Nagoya Castle is located in Nagoya Aichi, Honshu. The original castle was built around 1525. In 1610, Tokugawa Ieyasu ordered the various daimyo to help with the building of a new castle on the site. This new castle was to be the new capital of the existing Owari province and many of the materials used were sourced from the smaller Kiyosu Castle in the existing provincial capital of Kiyosu. Nagoya castle's construction was completed in 1612. The interior is a modern museum displaying the history of the castle. The traditional Japanese architecture is a wonder to see in person. » Chubu, the central region of Honshu, is home to the UNESCO site of Shirakawa-go, famous for its old farmhouses. The farm houses are built in an architecture style called gasshozukuri, as the houses' steep roofs resemble two hands folded for a prayer. The massive construction is required for the houses to withstand the large amounts of snow falling in the region during winter. It is possible to have an overnight stay at one of the farmhouses, and highly recommended. Dinner and breakfast, both featuring local dishes, are usually included with the stay. 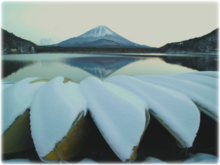 » Mount Fuji is Chubu's most famous landmark as well as Japan's most sacred mountain. It is held in reverence by the Japanese and climbing its trail is a rite of passage. 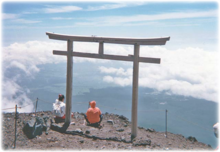 Read about climbing Mount Fuji in the climbing section of Japan. Hokkaido is Japan's second largest island and the largest of its 47 prefectural-level subdivisions. The Tsugaru Strait separates Hokkaido from Honshu, although the two islands are connected by the underwater Seikan Tunnel. The largest city on Hokkaido is its capital, Sapporo, which is also its only ordinance-designated city. Most visitors to Hokkaido travel there to enjoy the island's reputation as Japan's most scenic landscape. The Daisetsuzan National Park is the best place to see "wild" Japan. 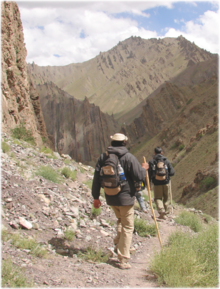 The park offers the outdoor enthusiast great hiking and spectacular views.